At a Senate Budget Committee hearing in 2009, I asked Fed Chairman Ben Bernanke to tell the American people the names of the financial institutions that received an unprecedented backdoor bailout from the Federal Reserve, how much they received, and the exact terms of this assistance. He refused. A year and a half later, as a result of an amendment that I was able to include in the Wall Street reform bill, we have begun to lift the veil of secrecy at the Fed, and the American people now have this information. What have we learned so far from the disclosure of more than 21,000 transactions? We have learned that the $700 billion Wall Street bailout signed into law by President George W. Bush turned out to be pocket change compared to the trillions and trillions of dollars in near-zero interest loans and other financial arrangements the Federal Reserve doled out to every major financial institution in this country. Among those are Goldman Sachs, which received nearly $600 billion; Morgan Stanley, which received nearly $2 trillion; Citigroup, which received $1.8 trillion; Bear Stearns, which received nearly $1 trillion, and Merrill Lynch, which received some $1.5 trillion in short term loans from the Fed. That is $6.9 trillion and counting. $6,900,000,000,000 in virtually interest-free loans which could enable their recipients to earn a total of at least half a billion dollars a day on low interest treasury notes alone. Bernanke is also lending JP Morgan funds to short silver to keep the value down and prop up the dollar. Everybody is in on to it now including Asia. JP Morgan is short more silver contracts then there is physical silver in existence! We also learned that the Fed’s multi-trillion bailout was not limited to Wall Street and big banks, but that some of the largest corporations in this country also received part of this very substantial “loan.” Among these are needy companies like General Electric, McDonald’s, Caterpillar, Harley Davidson, Toyota and Verizon. This is the greatest transfer of wealth since the Russian revolution. However, it is not from the rich to the poor, but from Main Street to Wall Street and Big Business. 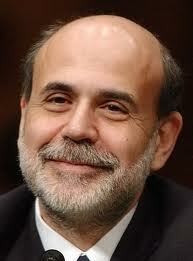 Someone should stop Bernanke dead in his tracks before he destroys what is left of these United States. What Bernanke needs is a “Marie Antoinette moment” similar to the one given to Prince Charles and his Princess Camilla as they were besieged in their splendid Rolls Royce by an angry London mob. You’re right, Jeff. Bananke, the US government and the media appear to have fooled many people, as you won’t find this in the US media.